Indianapolis, IN, September 20, 2018 --(PR.com)-- Flexogor gel for treating joint and tissue pain has been produced in 2017 and now it is spread in Africa. Kenya will be the first country where the product will be offered online. As already known, Flexogor gel contains Arnica Montana flower extract, Lavandula angustifolia herb oil, Camphor, hydrolyzed Keratin, Linalool and D-limonene. Besides these ingredients, the product is enriched with extract from deer antlers, which stops further destruction of joints without any side effects or health dangers. Arnica Montana is one of the best-known homeopathic pain relieving remedies today. It is taken orally for sore mouth and throat, for pain after surgery or tooth removal, painful and swollen veins, muscle pain, and more. This compound is applied directly to the skin for pain and swelling associated with bruises and sprains, pain in tissues, muscles and joints, and further complications as arthritis. The medicinal benefits of Lavender include treatment of fungal infections, wounds, anxiety, etc. Camphor is widely used for reducing inflammation and joint pain, and improving blood circulation. 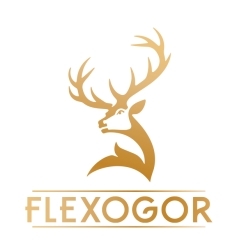 At the moment, Flexogor gel is sold at a discounted price. Manufacturer offers 50% discount for the first 100 clients. Within a short period of time the product will be released in Senegal and other African countries.